NBC has announced the iconic singer, producer and songwriter will be joined by returning coaches Kelly Clarkson, Adam Levine and Blake Shelton when The Voice airs next year. 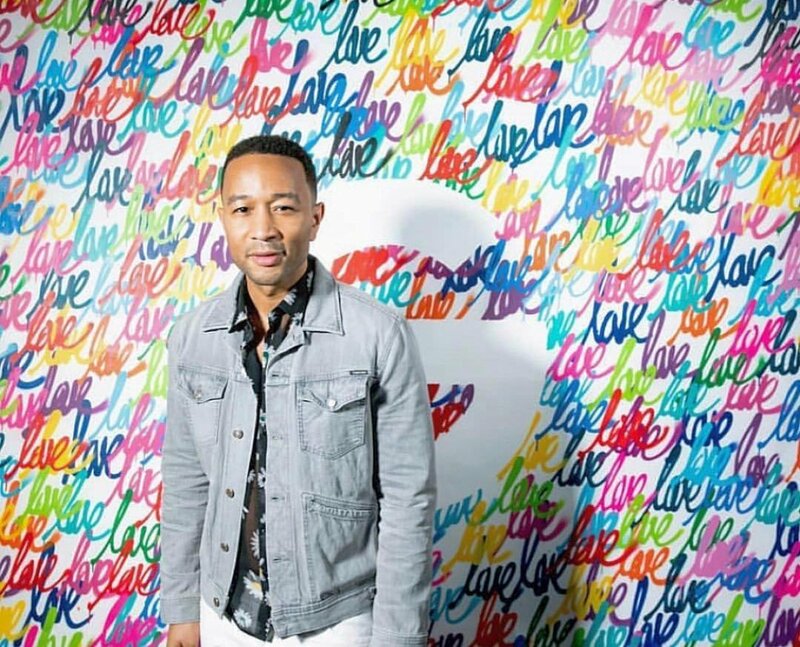 "John Legend is a one-of-a-kind musician and producer with remarkable skills that are beyond measure," NBC reality chief Paul Telegdy said in a statement. "His multi-dimensional career and incredible talents provide a repertoire that will excite and inspire our artists. This coaching panel is sure to ignite season 16." John said he is "thrilled" to star on The Voice's sixteenth season. "I've been a guest and mentor on the show multiple times and I'm so excited to discover talented singers and help them make the most of their gift. I hope the world is ready for #TeamJL," John explained. Kelly made her debut as a coach on The Voice last season, while Adam and Blake have never relinquished their coaching roles since the franchise premiered back in 2011. John has actually worked with Kelly on a reality singing competition show in the past. They both served as mentors on ABC's show entitled Duets, which premiered in May 2012. The short-lived series also featured Robin Thicke and Jennifer Nettles. John won an Emmy for his work as a producer on Jesus Christ Superstar Live in Concert. He also won an Oscar in 2015 for his original song "Glory" as well as a Tony Award in 2017. In addition, John has 10 Grammy Awards under his belt, along with five studio albums. John is best know for some of his hit songs, including "All of Me" and "Love Me Now." The Voice's upcoming edition, Season 15, will feature Kelly, Adam, Blake and Jennifer Hudson as coaches. The season premieres Monday, September 24 at 8PM ET/PT on NBC.